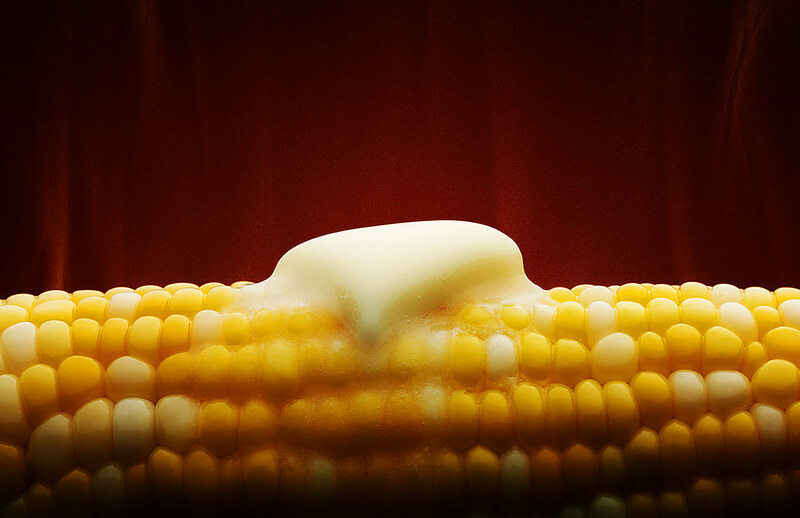 Summer is now in full swing – which means it’s time to eat way more corn, but we’re not talking about boring corn. For too long, people have been satisfied with boiled corn with salt and butter. 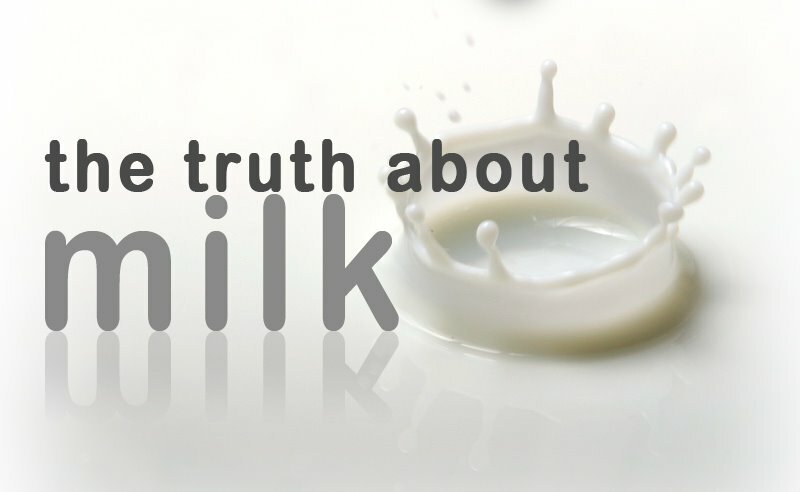 It’s crazy to think how many people continue to hold back one of the most versatile foods in the world. Combine 3 tablespoons crumbled queso fresco with 2 tablespoons chili powder, 1/2 cup sour cream, 1/2 teaspoon kosher salt and 1/8 teaspoon (or more) cayenne pepper. 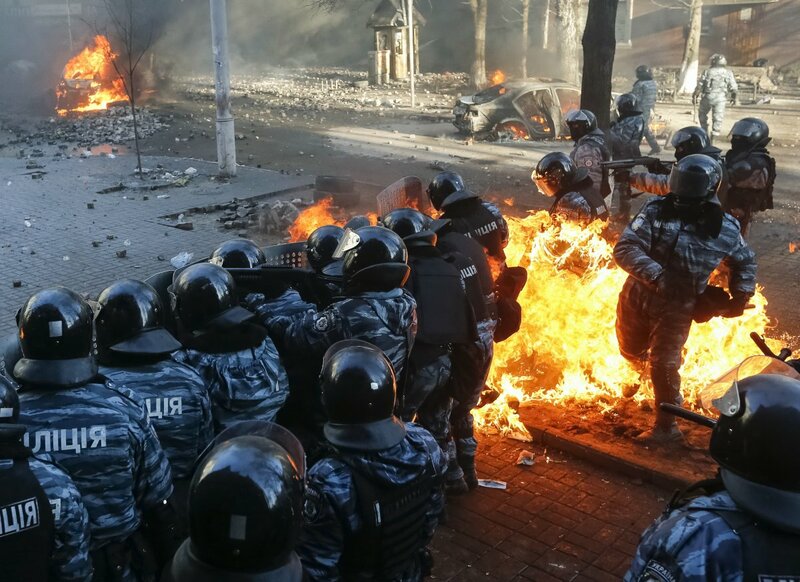 Stir in juice of 1 lime. After corn is cooked, dollop with mixture and serve with more crumbled cheese on top. 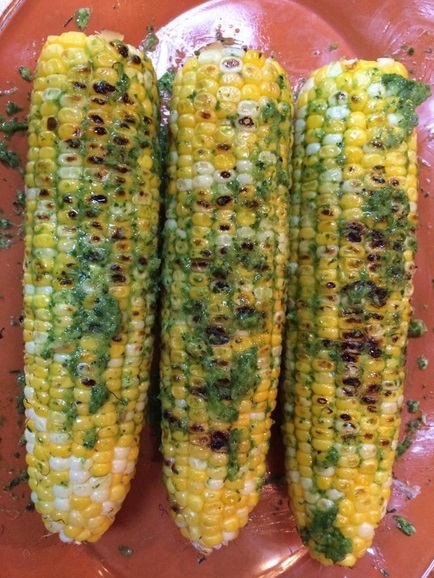 Brush corn (after, if boiling; before, if grilling) with olive oil. While cooking, combine 1/4 cup maple syrup, 2 tablespoons Dijon mustard and a pinch of allspice. 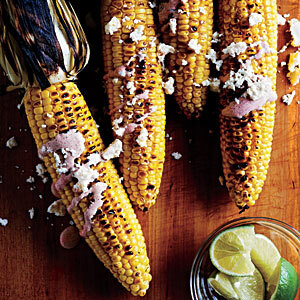 Spread mixture on hot, cooked corn. 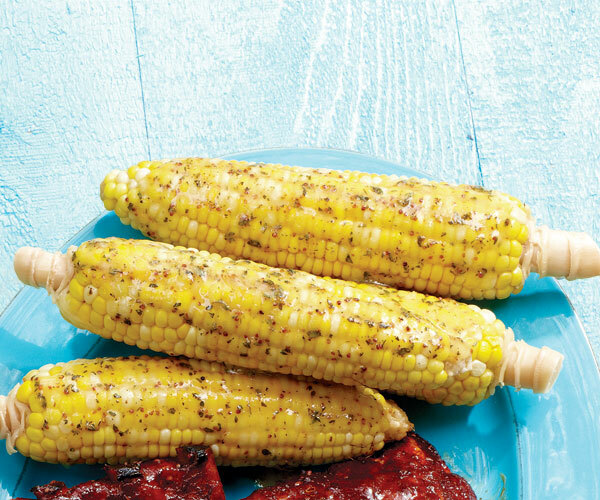 Brush corn with olive oil and grill. Meanwhile, combine 1/4 cup barbecue sauce, 2 tablespoons finely chopped onion, 2 tablespoons honey and 1/4 teaspoon coarse salt. Baste corn with mixture during last 3 minutes of grilling. Combine 2 grated garlic cloves, 2 tablespoons olive oil and 1 tablespoon fresh lemon juice. 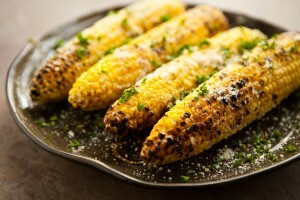 Baste hot, cooked corn with mixture and sprinkle with grated Parmesan. Mix 1/2 stick of melted butter plus 2 tablespoons each mayonnaise, sour cream and lime juice, and 2 teaspoons chili powder and 1/8 teaspoon cayenne pepper to taste in a large bowl. 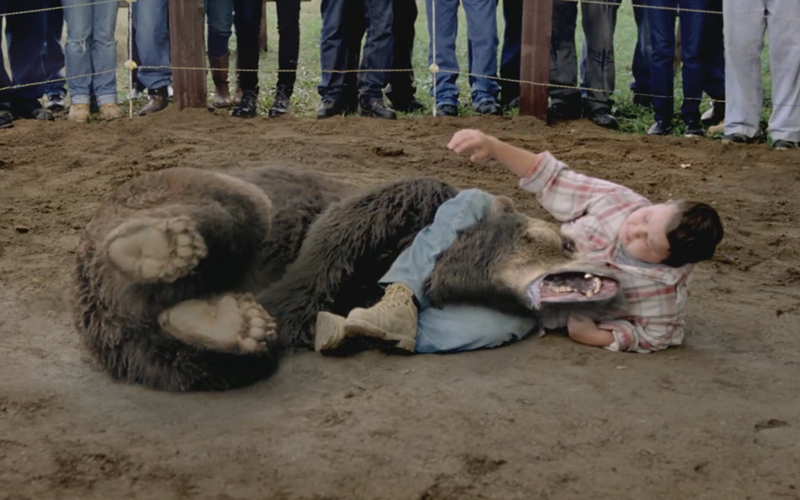 When corn is cooked, toss in mixture. Garnish with lime zest. Mix 1 stick softened butter with 2 teaspoons each toasted sesame seeds and chopped fresh cilantro. 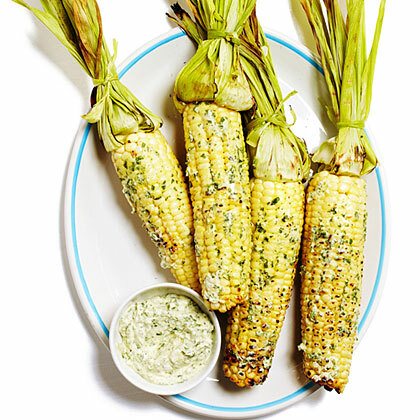 Spread on corn and sprinkle with more sesame seeds and kosher salt. Mix 1 stick softened butter with 2 to 3 tablespoons of minced fresh tarragon and the zest of 1 large lime. 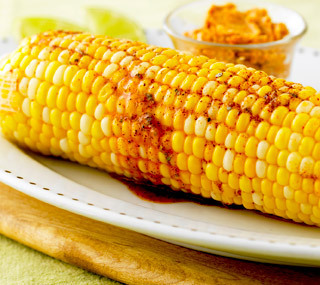 Spread on hot, cooked corn. Spread mayonnaise on warm corn. 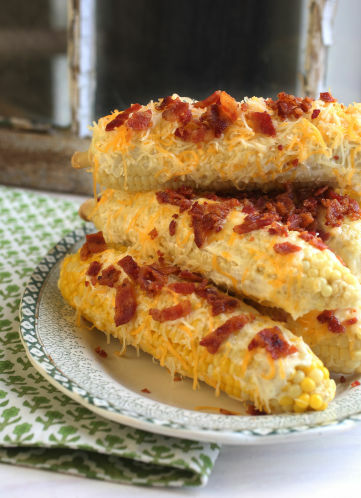 Roll in grated cheddar cheese and top with crumbled, cooked bacon. Mix 1 stick softened butter with 1/2 teaspoon kosher salt and 2 tablespoons honey. Spread on hot, cooked corn. Mix 1 stick softened butter with 1/2 teaspoon kosher salt and 1 tablespoon each (or more, according to taste) of finely chopped fresh parsley and chives. 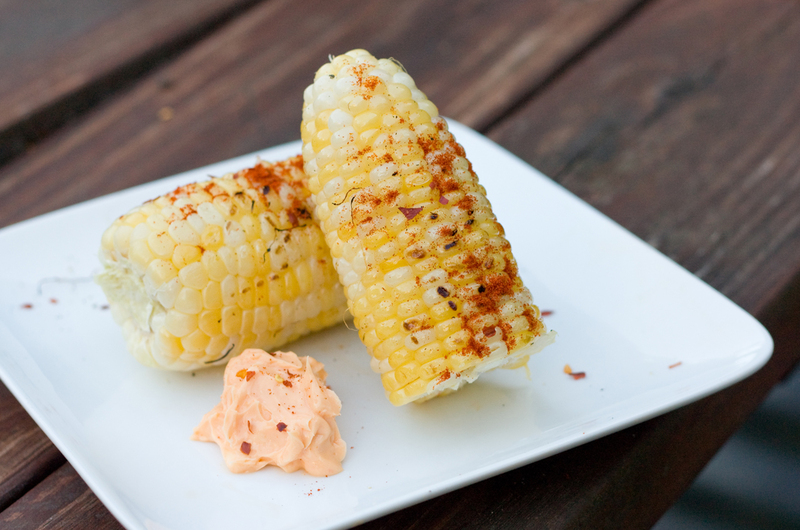 Spread on hot, cooked corn. 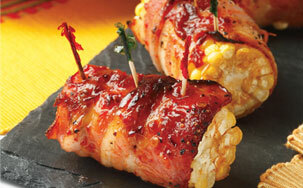 Wrap raw corn with slices of bacon to make a spiral and brush lightly with honey. Grill on medium or roast in a 350-degree oven, either for 20 to 25 minutes. Turn several times during cooking so that bacon cooks evenly. 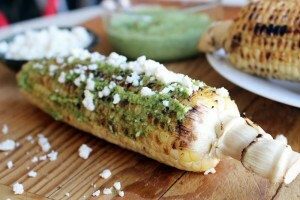 You won’t need butter or oil when you spread pesto over hot, cooked corn. 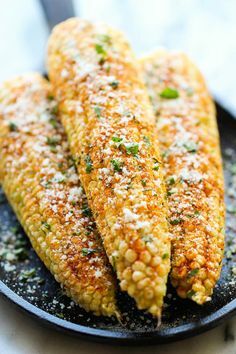 Sprinkle with grated Parmesan. Stir together 2 tablespoons softened butter with 2 ounces goat cheese crumbles, 1 tablespoon fresh thyme (or 1 teaspoon dried). Season with freshly ground black pepper and kosher salt. 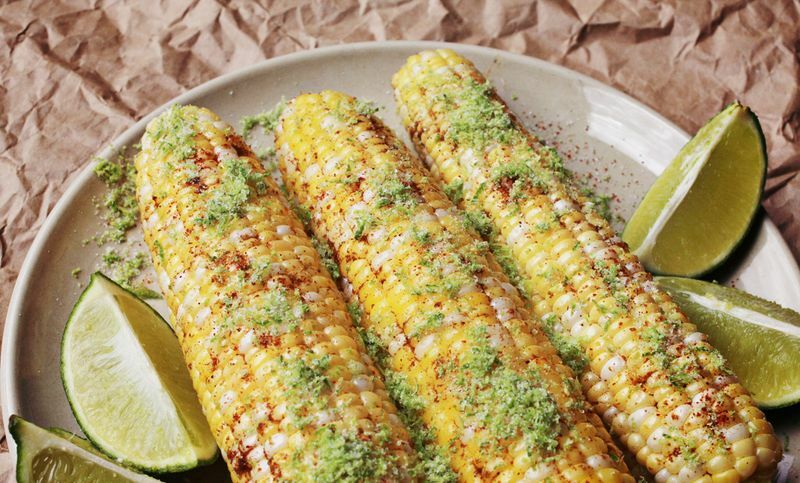 Spread on hot, cooked corn. Add 1 tablespoon each cinnamon and sugar to 1 stick melted butter. 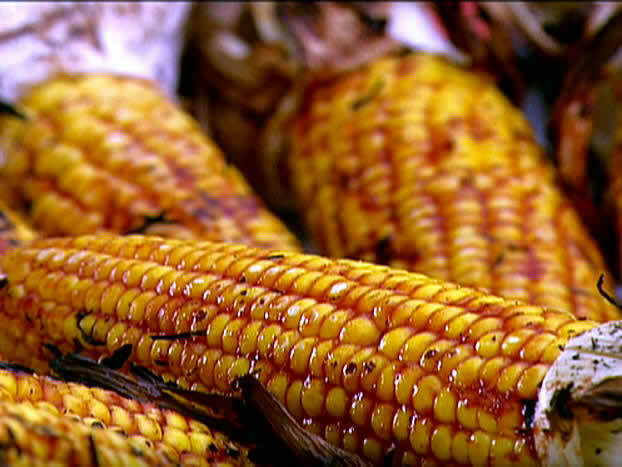 Drizzle on hot, cooked corn. Mix 1 stick softened butter with 2 tablespoons fiery Sriracha sauce. Spread on hot, cooked corn. Garnish with chopped fresh herbs such as parsley or cilantro. 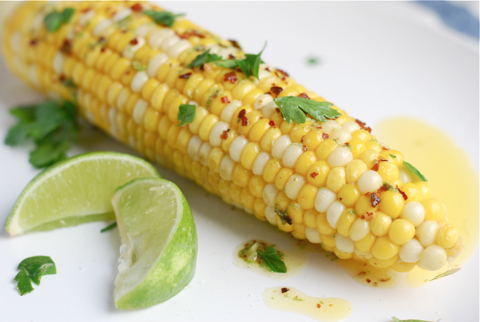 What’s your favorite corn on the cob recipe?